This new look of nokia music phone, Nokia 3250 Xpressmusic is designed specially because of Nokia apreciation to Nokia 3250 that selling hot in last year. 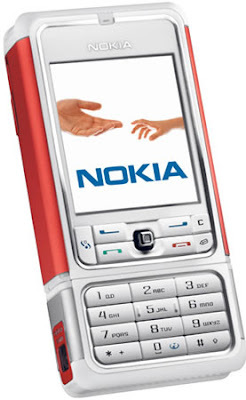 Nokia 3250 is one of hot music phone with a smartphone function that had sell last year 2006. It is more freshy look and suitable for active youth and music lover. Even the specification is not change like the 'original' 3250 Xpressmusic it is more hottie look. Even the specification is not changing, Nokia 3250 has came up in new sales packages when provided it with 1 GB memory card (micro SD).Integrated with 2 megapixels camera made Nokia 3250 is full of entertainment and combined with great music player, make it worth to have your own music and entertainment in your lifestyle in your mobile phone. Have Xpressmusic, Have More Entertainment On Your Own Hand !